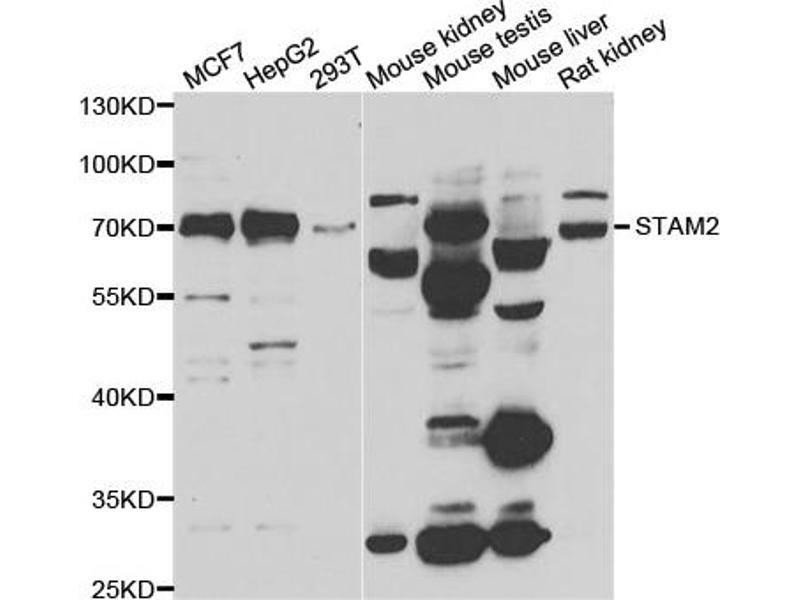 Western blot analysis of extracts of various cell lines, using STAM2 antibody. 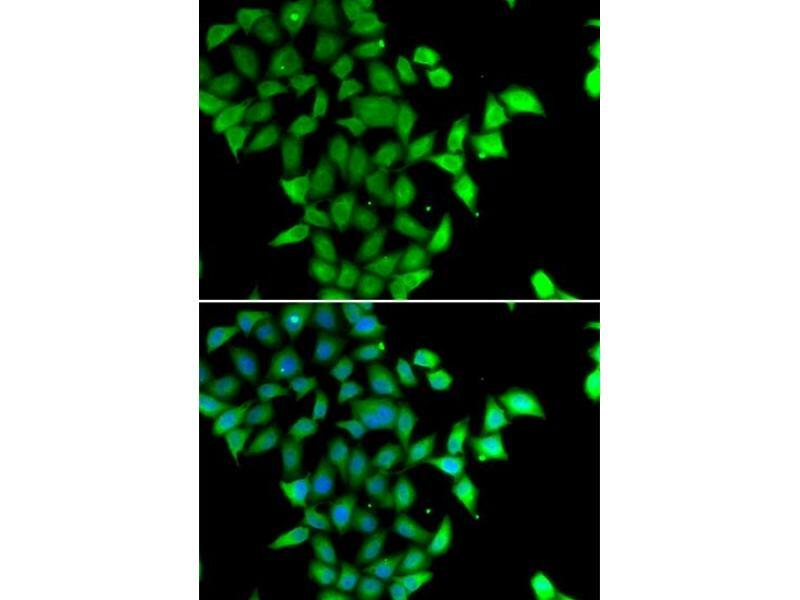 Immunofluorescence analysis of U2OS cells using STAM2 antibody. Background: The protein encoded by this gene is closely related to STAM, an adaptor protein involved in the downstream signaling of cytokine receptors, both of which contain a SH3 domain and the immunoreceptor tyrosine-based activation motif (ITAM). Similar to STAM, this protein acts downstream of JAK kinases, and is phosphorylated in response to cytokine stimulation. 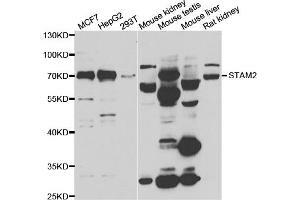 This protein and STAM thus are thought to exhibit compensatory effects on the signaling pathway downstream of JAK kinases upon cytokine stimulation.